An online education initiative between the UK and China is being launched - with plans to provide "e-learning" for 20 million Chinese students. The deal will see the UK's LP+ group building a system for delivering online lessons in China. The firm's chief executive, Mehool Sanghrajka, says it is a sign of the rapid globalisation of education and training. The education market is "no longer a cottage industry", he says. The deal, signed at the Department for Children, Schools and Families on Monday, will see a partnership between the UK group and the Chinese media company, Sun Media. The online teaching materials will be aimed at pupils in 20 major Chinese cities. LP+ will provide an online learning system for secondary school lessons in the Chinese language - with lessons accessible through an internet browser. The content, across a range of subjects, will be provided by the Chinese partners - with the first students using the materials in spring 2008. They will draw on the educational technology experience of Shireland Language College, in the west Midlands - with teachers from the college travelling to Beijing later this year to support Chinese schools. Education and training are increasingly being seen as an important export market - with a report last week claiming that it was earning more for the UK economy than financial services or the car industry. The report from the British Council claimed that education exports were worth £28bn, an increase of 39% in two years. 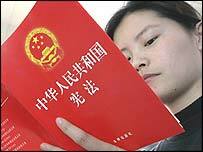 China, with its growing demand for an educated workforce, is seen as a key market. Universities are already offering UK degree courses to Chinese students - including the University of Nottingham setting up a campus in Ningbo. 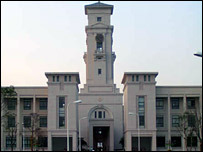 An independent school, Dulwich College, has also opened a branch in China, with a school in Shanghai. And this latest project will see the UK's experience of educational technology being introduced to Chinese secondary school pupils. "As a nation we recognise the growing importance of the Chinese economy and we need to start working and collaborating with counterparts there," said Mr Sanghrajka. "Globalisation is now a fact in education," said Mr Sanghrajka. And he says this will increasingly mean that best practice in one country will be applied elsewhere. "We are looking at a truly global education community connected in ways never before imagined," said Doug Brown, head of the technology futures unit at the Department for Children Schools and Families.